Hojarasca creates contemporary Andean music, exploring the space between tradition and innovation, through pre-Hispanic musical instruments along with the large variety of South American rhythms. With a foundation based in Andean folk music, Hojarasca uses Quenas, quenachos, Pinkullos, Yapurutues, Moxenos, Ocarinas, Toyos, Bastos, Malts, Sicus, Jula-julas, Antaras, keels, and the charango to create a mixture between the past and the future, forming a living landscape of sound. A concert with hojarasca suspends time and takes the audience to places where the music comes and goes with the pulse of the cosmos. The group was founded in 2007 in the town of El Carmen de Viboral, located in the department of Antioquia, Colombia, focusing on the rhythms and performance techniques of Andean musical instruments. 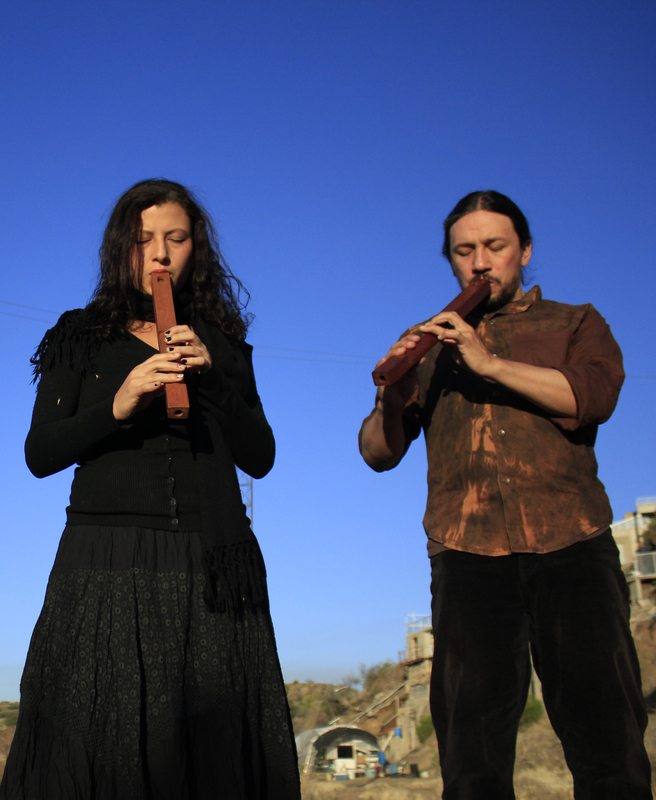 Formed by two auto-didactic musicians Ana Maria Calderon and director Lucas Rodas, composer, researcher, builder and interpreter of the group’s prehispanic instruments.